ALL OUT! There’s a strike on! Deliveroo drivers, assisted by the IWW Couriers Network, as well as local IWW branches around the country have staged repeated wildcat strikes over the last year. 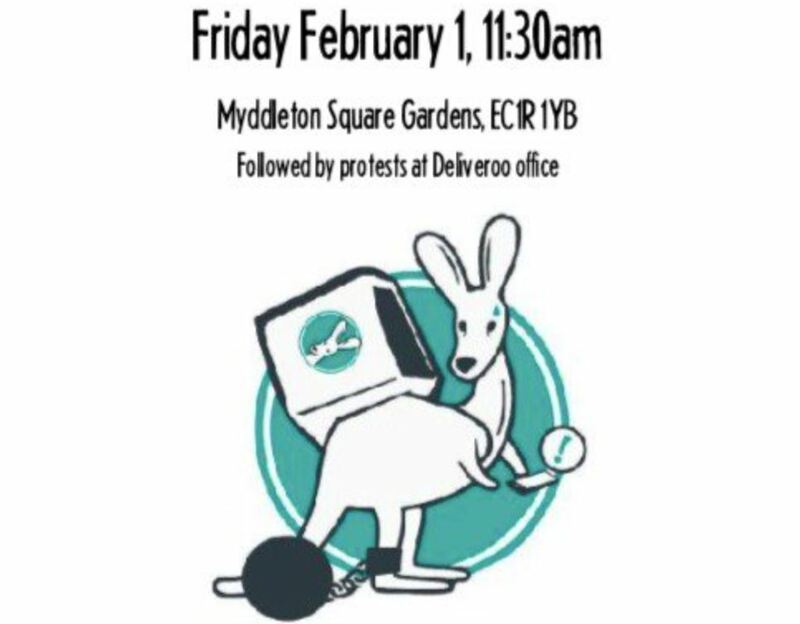 The next strike is happening this Friday at Myddleton Square Gardens, London, EC1R 1YB, followed by protests outside of one of Deliveroos management offices. These are the guys who deliver your pizza and they don’t get employment rights, because the companies classify them as ” independent contractors”. This is so that they can be fired on the spot for any reason whatsoever and their wages have been repeatedly cut to the bone as well. On top of that, as our previous releases on the subject have noted, they are also subject to targeted predatory attacks from the Police. This situation is both unacceptable AND unsustainable and the workers have been making that point clear. Striking, and mass action through a fighting union, is the only way forward! The working conditions enforced by predatory companies like Deliveroo and Uber eats have been one of the main subjects of IWW actions in the UK over the last year, and 2019 is likely to repeat that pattern. If you can come along to this strike then take a look at the date and time on this flier and share it around!